From Wikipedia, the free encyclopedia. Brock Edward Lesnar (born July 12, 1977) is an American professional wrestler, actor, former mixed martial artist and amateur wrestler, signed with WWE. He is also a former UFC Heavyweight Champion and former #1 ranked mixed martial arts (MMA) Heavyweight by Sherdog; he was ranked #5 before he announced his retirement at the end of 2011. Lesnar is an accomplished amateur wrestler, winning the 2000 NCAA heavyweight wrestling championship and placing second in 1999, losing in the finals to 1999 world freestyle wrestling champion and future New England Patriots offensive lineman Stephen Neal. He gained prominence in World Wrestling Entertainment (WWE) from 2002 to 2004, where he is a former three-time WWE Champion, becoming the youngest WWE Champion at age 25 with his first reign. Lesnar was the 2002 King of the Ring and the winner of the 2003 Royal Rumble. After leaving WWE, Lesnar pursued a career in the NFL. He played during the preseason for the Minnesota Vikings, but ended up being a late cut. Lesnar returned to professional wrestling at the end of 2005, and joined New Japan Pro Wrestling (NJPW), where he won the IWGP Heavyweight Championship in his first match. He was officially stripped of the title by NJPW in July 2006, and took the physical belt with him to Inoki Genome Federation (IGF), where he was still recognized as IWGP Champion until June 2007. 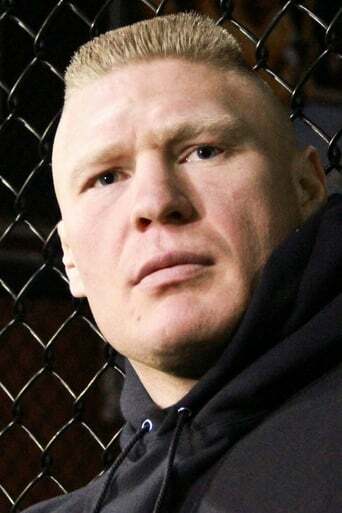 Lesnar started a career in MMA and won his first fight in June 2007. He then signed with the Ultimate Fighting Championship (UFC) in October 2007. He lost his UFC debut against Frank Mir, but defeated Heath Herring in his sophomore fight. He subsequently captured the UFC Heavyweight Championship from Randy Couture on November 15, 2008, then avenged his loss to Mir at UFC 100 to become the Undisputed Champion. After being sidelined from fighting in late 2009 due to diverticulitis, Lesnar returned to defeat the Interim UFC Heavyweight Champion Shane Carwin at UFC 116. Lesnar lost the Heavyweight belt against Cain Velasquez at UFC 121. He was once again stricken with a bout of diverticulitis in May 2011 and had surgery to try to cope with the ailment. Lesnar returned at UFC 141 in December 2011, where he lost to Alistair Overeem and promptly retired from the UFC. In April 2012, Lesnar returned to WWE.